Oh Blizzard, how I adore thee. 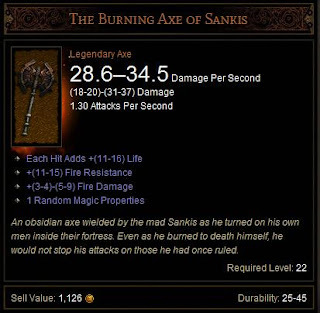 I was looking through the Diablo 3 Database to see what legendaries are in the game currently when I came across this gem of a find. The name Sankis by itself sounded really familiar to me, but what gave it away immediately was the word 'Fortress'. When I read the flavor text fully, I couldn't stop laughing. The origin of this Easter egg comes from a communal game on the something awful forums a long long time ago. Back in the day, a person by the name of Evilslug decided to start up a succession game of Dwarf fortress. Every participant to the game would be alllowed to play for 1 year of in game time. Then he would need to send the save file over to the next person. For that 1 year of in game time, the player would then have to chronicle his tale of woe of leading a fortress of dwarfs. 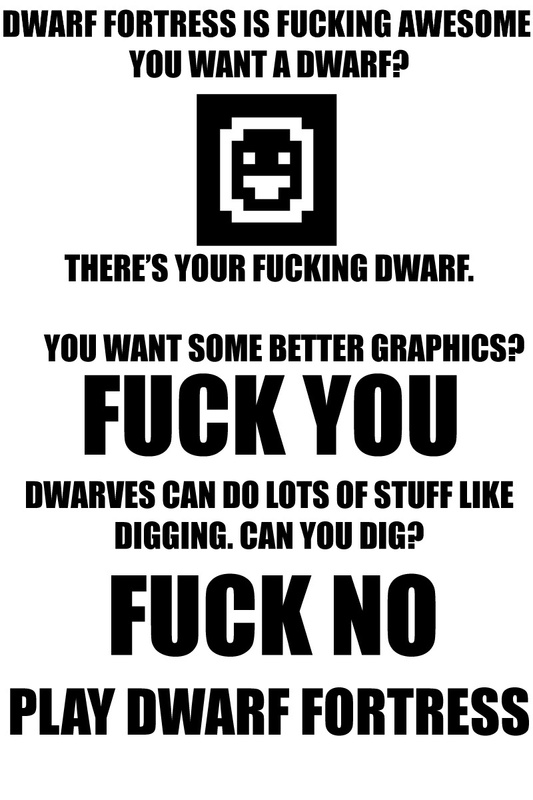 Now if you have no idea of what Dwarf Fortress is, well, it's easily the most manly and the hardest game ever made in existence. It's so manly that it can withstand a Chuck Norris Roundhouse kick. The full story of the fortress itself is too long to put in a single blog post. It spans 2 threads, and nearly 64 separate updates. 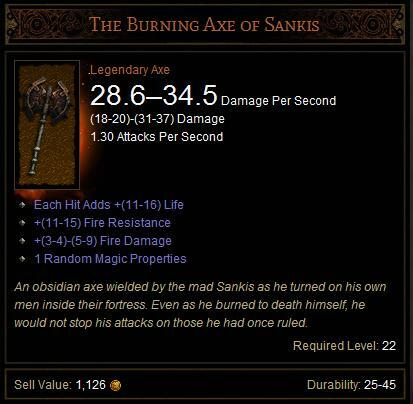 After a colossal series of accident, the then previous Emperor to the fortress 'Sankis' went on a rampage with his axe. This despite being set on fire. Boatmurdered was such a great read. Awesome that someone at Blizzard gave it the hat tip.